It is amazing how four simple ingredients--flour, water, yeast and salt (plus time and patience)--can produce such a nutritious and flavorful food that human beings have consumed since thousands of years ago. However, bakers have an weapon to counter this "attack": sourdough starter. The acidity of the starter can keep the amylase enzyme under control. Other benefits of using sourdough culture are increased nutritional value and longer shelf life. References: Bread by Jeffrey Hamelman; Breaking Bread by Martin Philip. 1) Mix rye sourdough with water by hands until it loosens up. 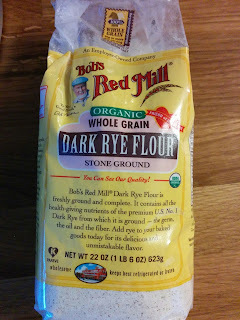 2) Add both flours, the yeast, and walnuts. Mix well, then add salt. Mix until all the ingredients are well combined. No need to knead. 3) Cover and leave at room temperature for 30 mins. 4) Fold and leave for another 30 mins. The dough will feel like clay, not as elastic as regular wheat flour dough. 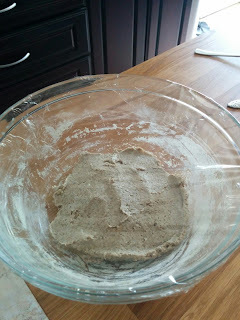 5) Shape the dough into a boule. Place on a piece of parchment paper big enough to put inside your cast iron/Dutch oven. 6) Cover and proof for 30 mins. Put the cast iron pot and its lid into the oven while it preheats to 450F. 7) Transfer the dough with the help of the parchment paper to the hot cast iron pot. Cover with the lid and bake for 25 mins. Remove the lid and bake for another 10-15 minutes. 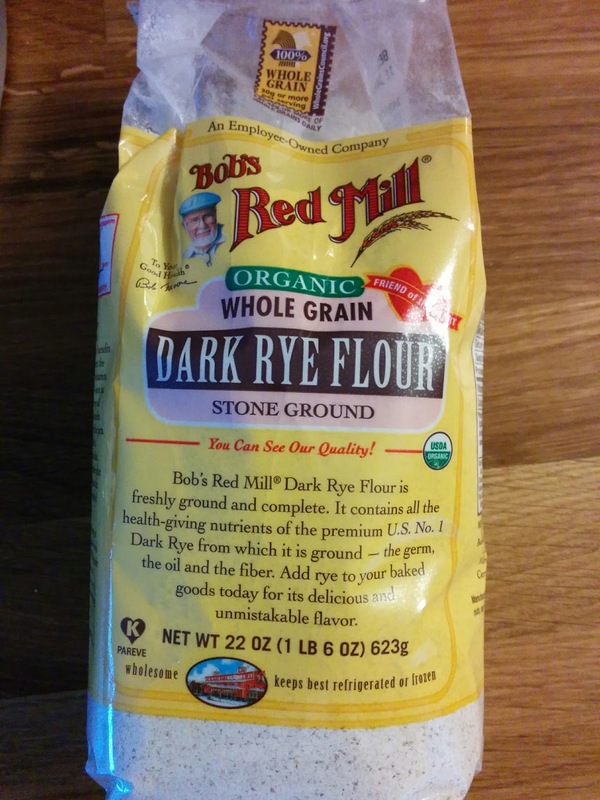 Note: rye bread does not benefit from long fermentation. It only takes about 3 hours in day 2 from mixing to finish baking. Please follow the time specified in the steps above.